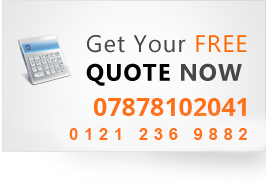 We provide professional carpet cleaning service in Birmingham and surrounding areas. We are just a phone call away from meeting all of your residential or commercial carpet cleaning needs. Let’s face it – your home is only as clean as the carpet that’s in it. While you might not see it, dirt and grime can build up and hide deep in your carpet. The only way to eliminate it is to thoroughly clean it. For the best carpet cleaning service in the Birmingham area, you have come to the right place. We pride ourselves on being punctual, reliable and efficient in our work. Our expert Birmingham carpet cleaning technicians are trained in all different kinds of carpet cleaning carpet and fabrics, so we know how to get the job done right. We combine friendly and helpful customer service with cleaning expertise that provides you with outstanding results. Once you’ve done business with us, you’ll count on us over and over again. When it comes to cleaning carpets and upholstery, no one can do it better than our team here at Chrisco Cleaning will ensure you have cleaner fresher carpets. Our state-of-the-art carpet cleaning equipment will eliminate the toughest dirt and build-up, giving your carpet and upholstery the deepest clean it has ever had. It’s almost like getting new carpet or furniture all over again! Renew and rejuvenate your home with professional carpet, rug, and upholstery cleaning. Have most stains and odours removed from your home quickly and safely. On request, we will happily use non-toxic, bio-degradable cleaning solutions, leaving your home fresh and clean but with no trace of harmful chemicals and fumes that regular products leave behind. Whether you have a new born toddler, or you have just moved into a new property, or moving out , we have the right solution for you. We also provide quality cleaning for your upholstery and curtains.